Betty Doo is a Leadership Consultant with over 15 years of experience helping organizations and leaders excel. She uses her intelligence, creativity, relationship-building skills and high integrity to deliver consulting services with lasting impact. Betty partners with executives, managers, entrepreneurs and nonprofit leaders to accelerate individual leadership development and organizational performance. She provides a customized approach and is highly adept at partnering with leaders from all levels of an organization and a wide assortment of industries. 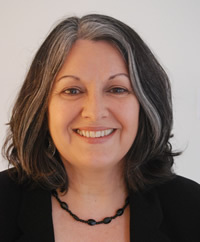 Betty’s professional background includes work in corporate and nonprofit settings. She is Principal Consultant for Betty Doo Consulting, a leadership development consulting firm. She is also an Adjunct Faculty member at Northeastern University’s College of Professional Studies, in the "Organizational Leadership Studies" specialization within the Doctorate of Education program. She has held internal professional positions in global manufacturing, professional services, healthcare, human service agencies and academia. As a Leadership Consultant, she enjoys working with people from diverse arenas. A partial list of companies Betty has worked with includes: Starwood Hotels, 3M, Liberty Mutual, Nortel Networks, Rogers Corporation, Bayer Corporation, Blue Cross Blue Shield of Rhode Island, Casey Family Services, CAB Health and Recovery, Inc., the Sage School, the Donahue Institute at University of Massachusetts and the Services Employees International Union (SEIU). Betty received her Doctorate from Harvard University in Human Development, an innovative research-based behavioral sciences program. She has received extensive training beyond her Doctorate in management and organizational fields, including organizational change, managerial assessment, high-performance management, mediation, executive coaching and related areas. She is a Licensed Psychologist who is qualified to deliver diverse assessments applicable to leadership and organizational development. Betty has a keen sensitivity and commitment to multicultural issues and a growing interest in “Executive Diversity”, helping organizations to select, develop and retain diverse leadership talent. Her interest in this area comes in part from growing up in a Cuban-American household in Tampa, Florida, and is enhanced by her marriage to her husband, Curtis, who is of Chinese heritage. Betty’s professional affiliations include: The Society for Human Resource Management, The Society of Consulting Psychology, The Institute of Coaching Professional Association, the American College of Healthcare Executives, and the National Society of Hispanic MBAs.